I haven't had much energy to write and post lately, apologies. But what I do have is this, a beautiful hand-drawn poster for a get-together in Boston in the early 1980s. I found this poster in Judy Freespirit's archive at the Gay and Lesbian Historical Society archives in San Francisco. It supports the evidence I present in my book about cross-country friendships in the US being a way in which fat feminism travelled. Judy Freespirit on the West Coast and Judith Stein, one of the propagators of Boston Area Feminist Fat Liberation, were pals. See #19 for more about that. The poster is printed on yellow A4 paper. It has an image of two fat women in a heart shape on the top left hand corner, an image that also appears in the collated notes (by Judith?) 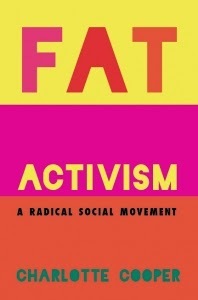 for The First Feminist Fat Activists' Working Meeting: Proceedings of The First Feminist Fat Activists' Working Meeting. 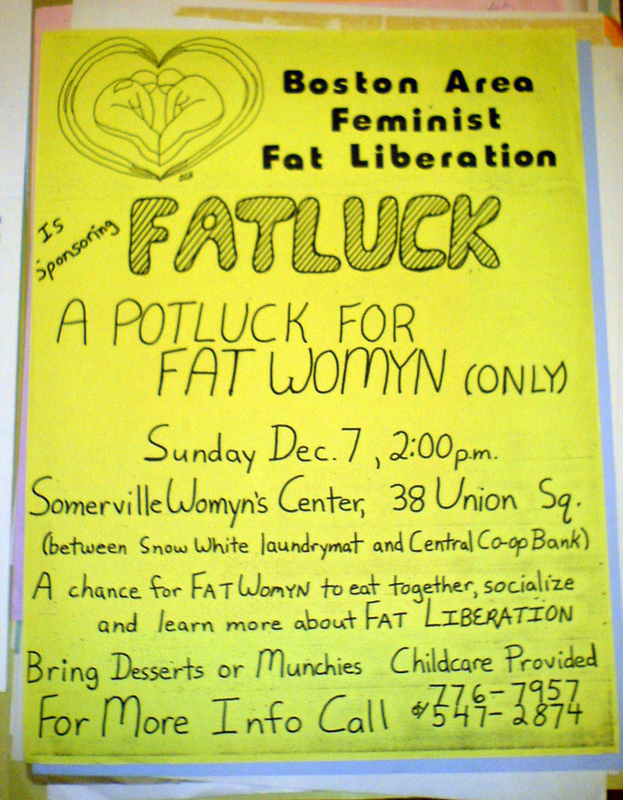 That gathering took place in New Haven in 1980 and was circulated through Fat Liberator Publications. Everything is hand drawn, with 'fatluck' written in blobby lettering. The poster is of its time, which is also what makes it compelling to me. The world seems so different now, what would it have been like to go to a Fatluck? Online maps show me that the laundromat and the bank might still be there but that the women's centre is now at a different location. The terminology has also shifted, womyn being a way of naming gender separate to men's involvement, but also a term that has historical associations with trans-exclusionary radical feminism. Whilst I have seen some trans women/womyn reclaim womyn, I do not see this word very often these days. What I love about the flyer is its playful and homemade qualities. Potlucks are a staple, a cliché even, of this kind of feminism. 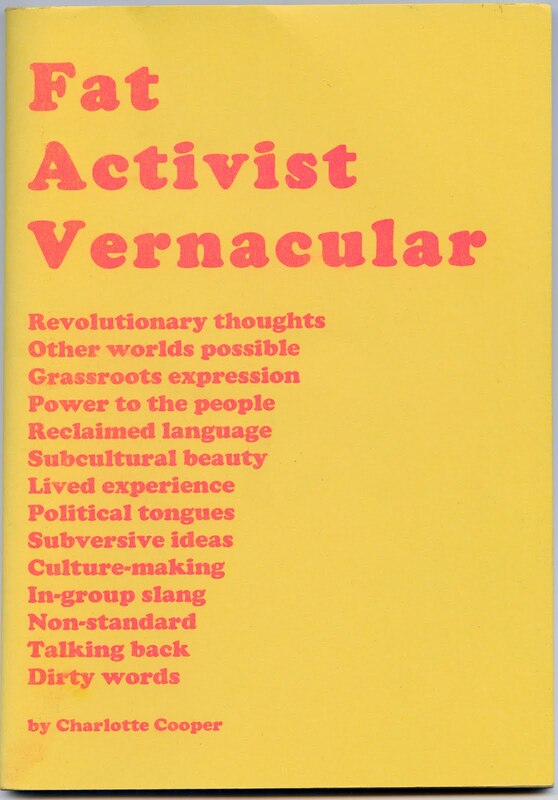 There's a postmodern feminist publication that refers to the practice called No More Potlucks. It's a North American name for collectively producing a meal to share. 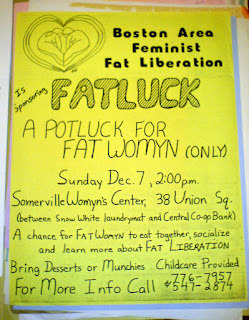 Here the potluck is called a Fatluck, it acknowledges that it is a big deal, a political act, for fat women to eat together, to nourish each other, to talk about liberation and to treat each other with sweet things.